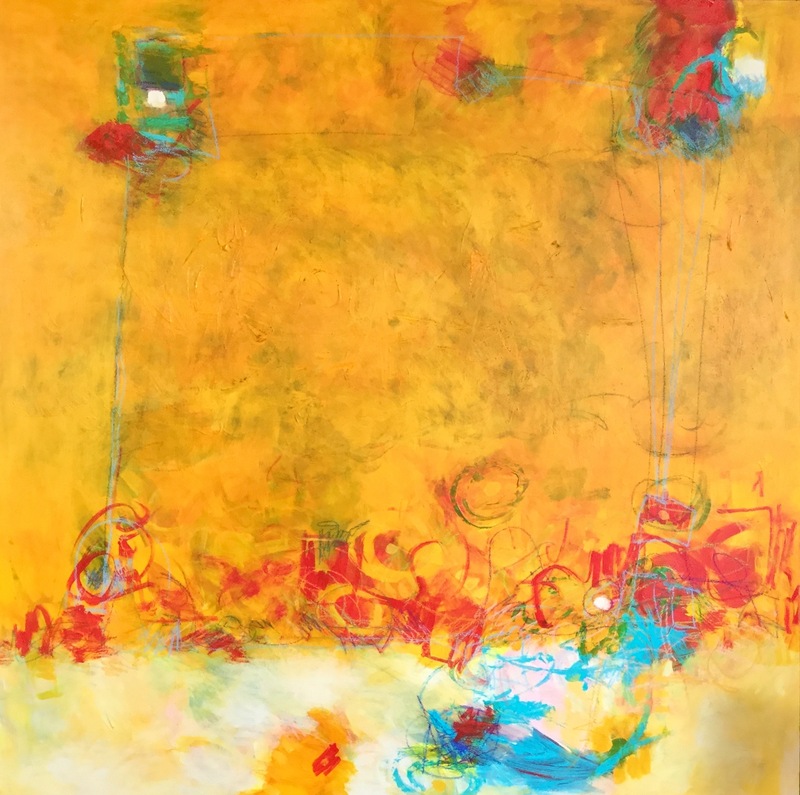 Claudette Lee-Roseland’s process involves the manipulation of color, value and shape. She starts with the application of many colors in a haphazard fashion, infusing the canvas or board with energy. Colors and shapes overlap one another. At some point, she may cover the support with a transparent color to create a uniformity to the painting. When she begins, she has no preconceived idea of what it will become. That is the fun for her – not knowing what it will become. She uses prearranged colors only when she is working on a commission. 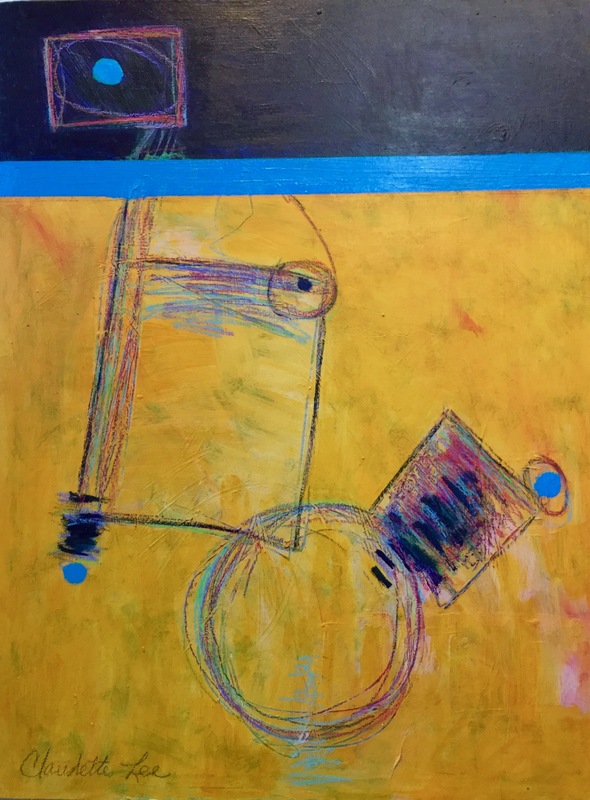 Her mind is active with the concepts of value, color combinations, subtly of color blending, shapes and stroke lines. Crayon is one of her constant tools. She will use the crayons to create color activity and construct shapes with the line. She is continually thinking of the balance between colors, values and shapes. Her desire is to create a rich surface. Composition and movement are very important to Lee-Roseland. 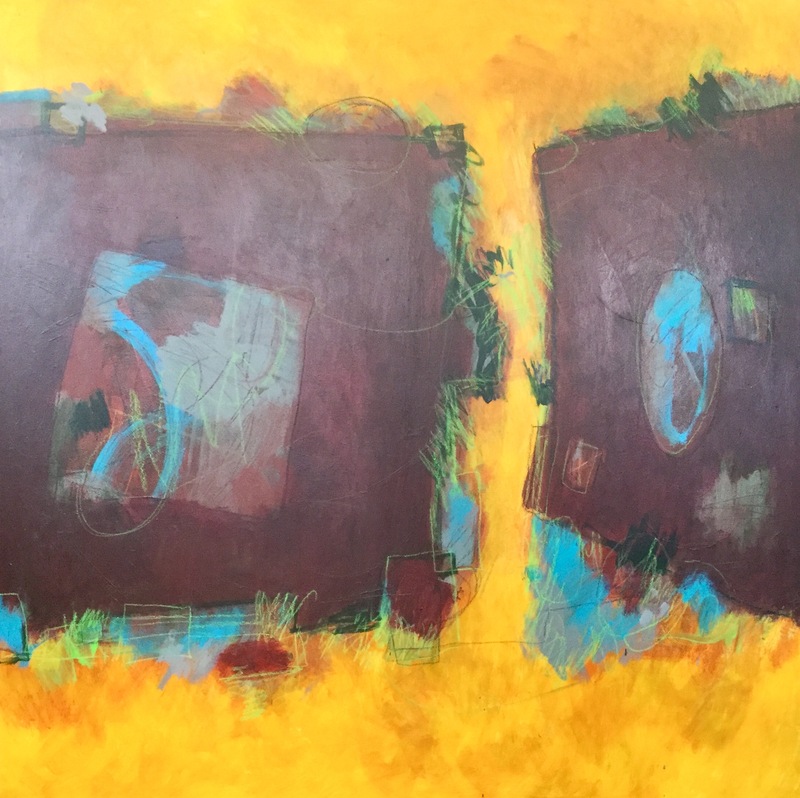 Once she has the basic color combinations and value differences, her eye turns toward the movement throughout the painting as created by the shapes and values. A compositional form will develop which she will enhance by defining shapes or emphasizing values, line or colors. She works, primarily, in acrylic paint because it dries quickly and allows her the freedom to layer and draw with crayons or pencil. When she works in oils, she uses cold wax as a medium that creates a paste to be applied with a palette knife. Most of her oil paintings are in small format, while her acrylic paintings can be very large. Occasionally, she works in a hot wax known as Encaustic. These paintings are usually collaged with added materials into the layers of wax. Occasionally, she works outside with the landscape in oil. The Wisconsin landscape has much to offer. Her landscapes may be realistic or in the abstract. She prefers, as a painter, to compose something new rather than do an exact representation of the subject. She is hoping to create a pleasurable experience for the viewer and have them think a bit about the subject. If she is lucky, the viewer may taste or feel the painting as well as see it. Lee-Roseland’s painting, Raspberry Sherbert, has been known to activate taste buds. She is hoping for a painting that the viewer will not tire of because of the richness of the surface. You will not see everything at the first look. Professional painter, Claudette Lee-Roseland began her artistic life with drawing lessons from a local painter before she went to kindergarten. 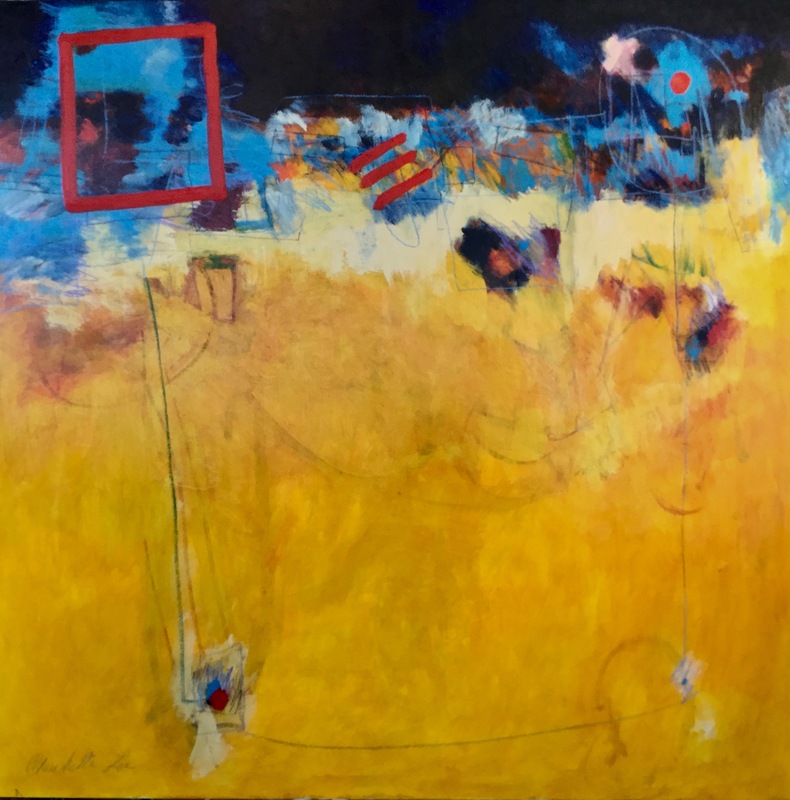 Her interest in art was fueled early on with trips to the Chicago Art Institute and paintings hung in her home which she attempted to copy as a child. Art awards in grade school and high school followed. In college, she studied with Lester Schwartz, a well respected Wisconsin artist of the time. Following graduation, she became an educator who added artistic events into her social studies curriculum whenever possible while perusing painting on a personal level. Claudette’s artistic life soared after taking a job with a local art materials store where she developed an art educational program that related to the products sold in the store. As instructor of the classes, she broadened her knowledge of materials and how to use them to create. During this time, she maintained a studio in the “Pittsburg Building”-now known as the Arts Building in downtown Milwaukee. Participating in the annual Studio Crawl, many of her paintings found homes. At this time, she developed a line of painted tiles that were sold at the Milwaukee Art Museum and numerous retail locations around the country. She now maintains a studio in Cedarburg, WI. Over the years, Claudette has participated in art fairs, one-man shows and group shows. Her work has not gone unnoticed. Over ten paintings in the Northwestern Mutual Insurance Company collection, part of the Serigraph collection, she is found in the collection of numerous companies and private collections. 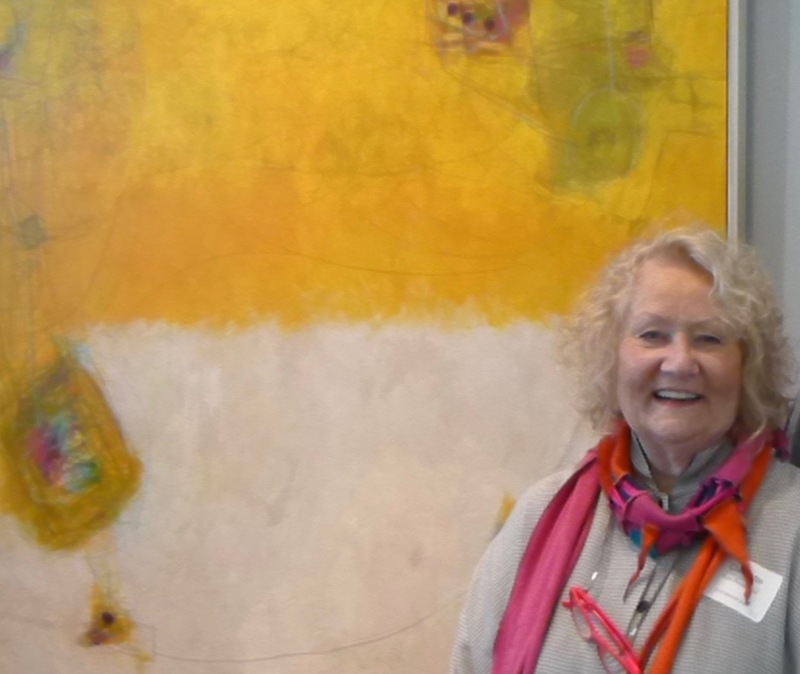 A sought after instructor and private art coach, Claudette has given back to the arts community by serving on the Boards of Wisconsin Visual Artists, Wisconsin Designer Craft Council and Cedarburg Artists’ Guild. She is a Signature Member of the International Acrylic Painters Association and Wisconsin Visual Artists. A Master’s Degree in Learning Disabilities has contributed to her ability to teach beginners in art as well as experiment with art techniques that make her work individual. Loving puzzles and mysteries, she creates paintings that provide the viewer an opportunity to interpret the work with their own meaning. She creates interesting “layers of thought” with each application of paint, working back and forth between transparent and opaque colors, adding lines here and there that disappear and reappear between shapes, creating mystery between what you see and what you don’t see under the paint. Investigation, experimentation and color provide the fun for her with her work. During the summer, she works in Plein Air-outside to capture the light as it moves across the Wisconsin landscape. She is a three-time prize winner in the Cedarburg Plein Air Painting Competition. Paintings can be seen at Idea Gallery-Door County, Pink Llama Gallery-Cedarburg, WI, Center St. Studio-Cedarburg, WI (by apt. only), Gallery of Wisconsin Art-West Bend, WI, www.claudetteleeroseland.com, www.leeroseland.fineartstudioonline.com, www.fineartamerica.com. To be featured as an artist on the Artdose Artist Directory click here for information. 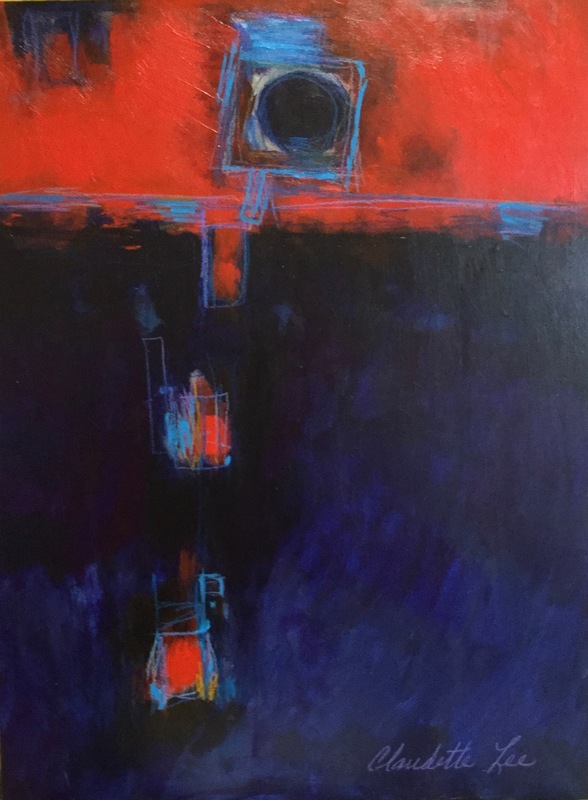 This entry was posted in Announcement, artdose art guide, artdose artist directory and tagged abstraction, acrylic, artdose art guide, cedarburg, Claudette Lee Roseland, crayons, oil, painting, wisconsin, wisconsin art on July 15, 2018 by Frank Juarez.